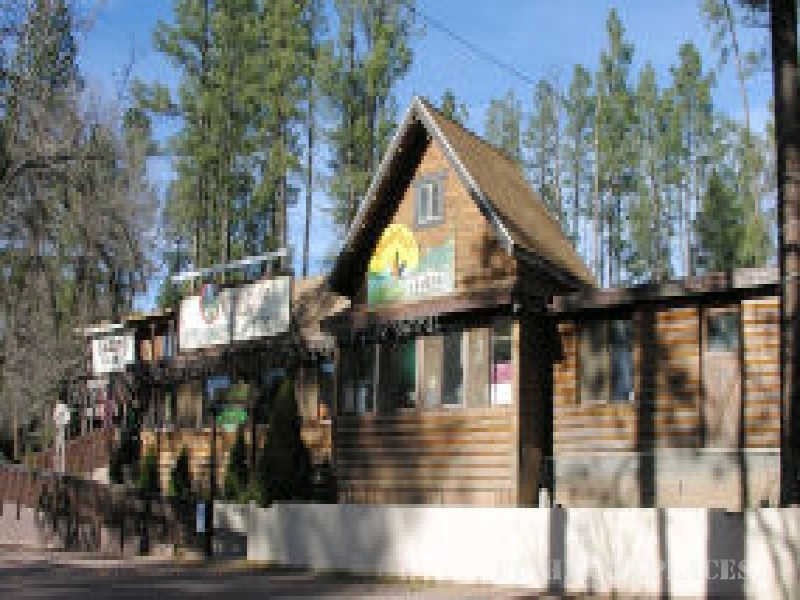 Creekside Cabins are named for being adjacent to the historic Creekside Steakhouse and Tavern, and are nestled amid massive ponderosa pines beneath the majestic Mogollon Rim near Payson, Arizona. See why Creekside Rental Cabins should be your first choice for lodging accommodations in Christopher Creek, AZ. Our six 1- bedroom rustic log cabins with loft offer you a fireplace, 2 queen beds, 2 twin beds, and one full bath, porch front and back for your pleasure. We also have one large cabin with 2 kings, 6 twins, 2 full bath, full kitchen and large wrap around porch, which can also serve as a home base for a larger group get-together. We're just minutes from stream fishing, Rim and White Mountain area lakes, hiking trails, horseback riding, mountain biking, cross country skiing, or just relax with a good book. For your comfort, our rental cabins include all bedding and towels, and also have a flat screen TV with Dish satellite, coffee maker, microwave oven, and small refrigerator. Creekside Steakhouse and Tavern voted one of "Arizona's 100 Best Restaurants" is adjacent to our Cabins At Creekside Cabin Rentals offering you the convenience of delicious food and drink after your day's activities. Casual family style dining offering you Breakfast, Lunch and Dinner daily! If you wish, you can even purchase package goods from the Tavern.